The Olde Ship Inn, established about 1812 has just celebrated 100 years of ownership because of the same family members from 1910-2010. Once the "religious" house toward seeing Scottish Herring fleet throughout the 1800's and early 1900's, the Olde Ship Inn saw the final outcome of North Sea Herring fishing therefore the demise of maritime customs. The legacies for the "Saltire" intrusion are two fold: the permanent display of fishing memorabilia in Olde Ship plus the Scottish old-fashioned "I'll hae a nip and a hauf". Those of us whom reacall those halcyon days whenever crewmen had their particular favourite whiskies, particularly monochrome, Queen-Anne, George IV now choose the iconic known Grouse whisky with regards to "Chaser" become accompanied of course aided by the Scottish toast "Slainge". 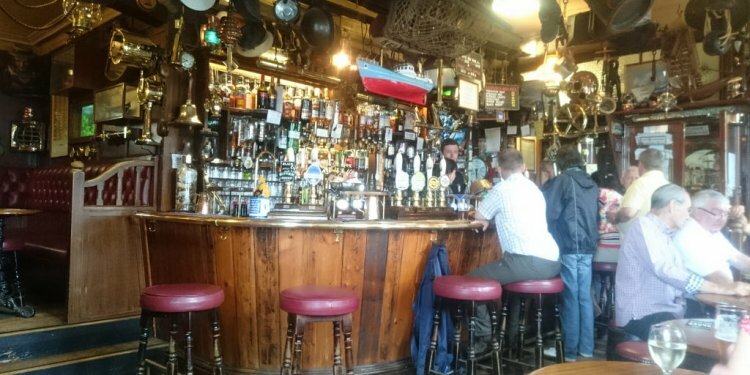 Great pub, cozy fires, laden with ship chandlers equipment. Great pub food particularly the crab soup. Extremely friendly staff and known Grouse whisky prominently exhibited. Charming little passages and screen alcoves with different types of shipping positions, ships and folks. Thoroughly intriguing and an amiable Pub. An actual gem. Has actually full dining facilities and accommodation. Outside a wooden masted cruising ship is above the door. http://iplogger.org/ how to track anyone grabify.